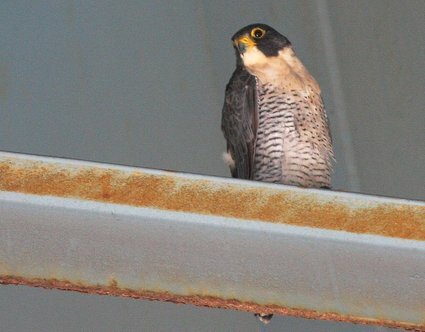 A pair of Peregrine Falcons has been hanging out near the Route 3 Bridges over the Hackensack River all summer. These shots were taken in August. 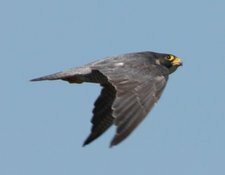 With any luck, these amazing raptors will hang around for the Meadowlands Festival of Birding this weekend. Saw this guy last week in Harrier Meadow in North Arlington. 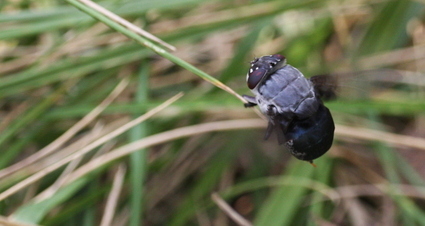 It was about the size of a bumble bee. Can anyone help with an ID?